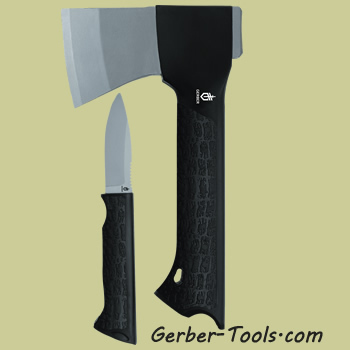 Gator Combo Axe 31-001054 22-49470. 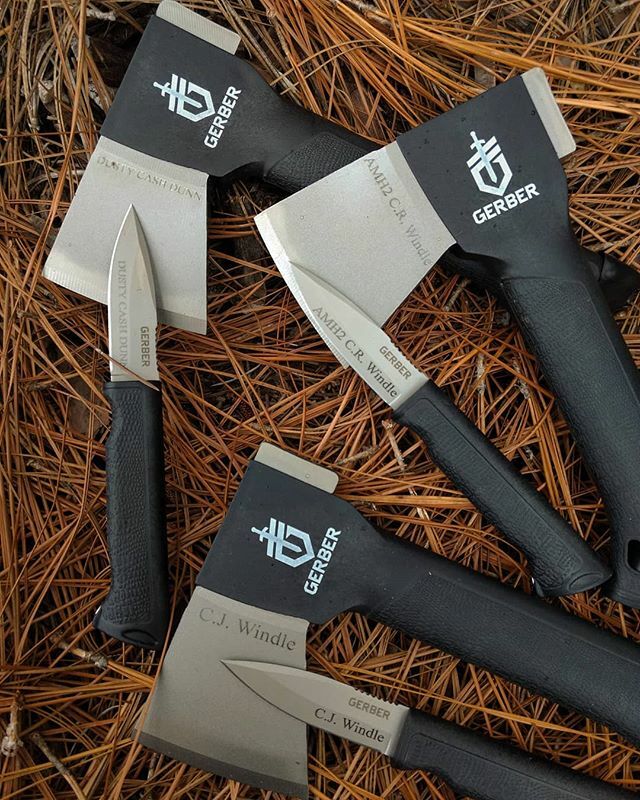 Recognizing the need to conserve space and at the same time realizing there are times when a knife may be needed in addition to an axe; Gerber Legendary Blades introduces the Gator Combo Axe. The Gator Combo Axe improves upon our award-winning line of axes, adding our famous Gator textured rubber for maximum grip in wet or dry conditions. 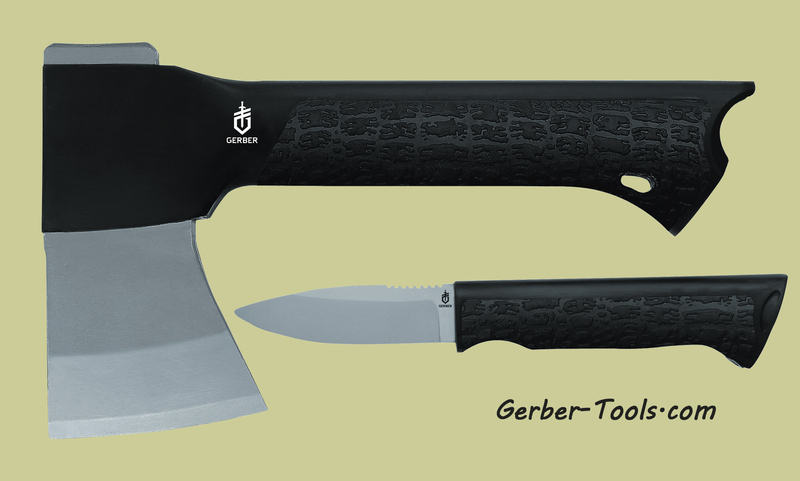 As with all Gerber axes, the Gator Axe features a forged steel head for superior edge retention and a virtually unbreakable handle. 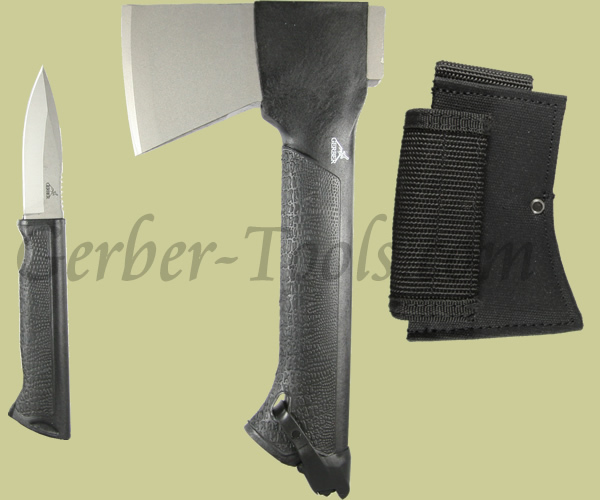 Available with or without a Gator textured-handle fixed blade knife. This item can also be found under part number 31-003070. Weight: axe 23.6 oz., knife 2 oz.